Home » Shih Tzu Breed » Best Shampoo for Shih Tzu: What Kind of Formulation to Choose? Among popular dog breeds, Shih Tzu is probably one of the most popular of all. This breed is also known as lion dogs or chrysanthemum dogs and is widely liked for their smart thinking, affectionate and playful attitude. Shih Tzu dogs are long and furry coated dogs, that's why you, as their owner, should keep their coat as healthy and long as much as possible! And that can only be achieved using a dog shampoo that's specially made for them. You might be tempted to use human shampoo for your dog, but that doesn't really work. Human hair is different from dog hair; thus, dogs would need a different formulation. 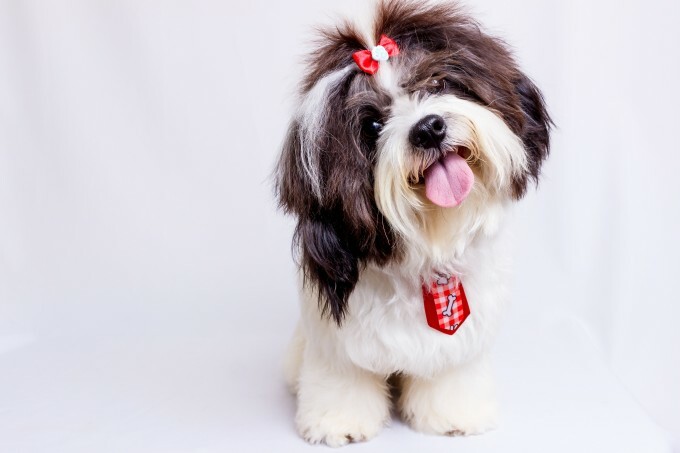 What are the Different Kinds of Shih Tzu Fur? How Often Should Shi Tzus Be Bathed? It should be able to remove body oils and dirt – A good shampoo for Shih Tzu should be able to gently remove the body oils and debris that are trapped in your dog's skin. Body oils will always be present in your dog's fur no matter how clean you are with your dog. These oils are naturally occurring in dogs as it is secreted from the pores of their skin and it's their body's natural way of maintaining the skin and coat moisturized and avoid it from getting dry. The thing is when there is oil build-up it won't leave the fur of your dog until you remove it. That's why you would need the right shampoo to wash it away. Otherwise, if you leave it for days, then it will become smelly and greasy. The shampoo should be effective but should not be able to strip the coat off from your dog – The most important thing about washing your dog's hair is that it shouldn't be able to strip off the hair completely. A dog shampoo may be able to wash away the oils and debris from your dog’s coat but what good will it be if it will mean leaving your dog bald or hairless? If you have encountered something like this, then it just means that the shampoo that you are currently using is too harsh for your dog. The dog shampoo that you are using might even do more harm than good for your Shih Tzu. Dog owners make their mistakes by using shampoos that have harsh soaping agents. Dogs shouldn't be washed with soap, they should be washed with plant-based cleaners like coconut. Must have the correct pH– This is probably one of the most important things when choosing a good shampoo for Shih Tzu. It will have a major effect on the skin and the coat of your dog. Shampoos that are made for humans and most of the inferior dog shampoos have a pH value of about 4.5 to 5.5. However, it's only recommended that dogs should only have a shampoo that has only a pH of 6 or 7, which is almost close to neutral to being alkaline. If the formulation in the shampoo is too acidic or lacks some alkalinity on it, it can bring about negative effects on dogs. It can lead them to have dry skin, irritation, and skin infections. Aside from that, if you have selected an inappropriate shampoo for your dog, it can discolor the Shih Tzu's coat and could even remove the shine from it. It should be free from any chemicals –Pet shampoos are usually composed of paraben, phthalate, and phosphates. These are known for being hard to be washed away from your dog’s coat. But any residue that's left on your canine can cause irritation, itching, and even up to the extent of an upset stomach. Contrary to popular belief, there are actually various types of shampoo for Shih Tzu dogs. That's exactly the reason why you shouldn't just get any dog shampoo off from the rack. It pays to choose the most suitable type of shampoo for your Shih Tzu because, in this way, you can really see the results! So, it’s extremely important for you to invest in something that your dog actually needs. Trust us, your dog will thank you for it! Basic Shampoo - This kind of shampoo is recommended for those Shih Tzu that doesn't have any skin or coat issues. These usually are the dogs that don't have any itchy skin or broken hairs. IT may be considered as basic, but it actually serves as a foundation to maintain the dog's skin and coat health. Basic shampoo for Shih Tzu is usually used with conditioners and leave-in shampoos. The ending result could give your dog a luxurious and healthy coat. 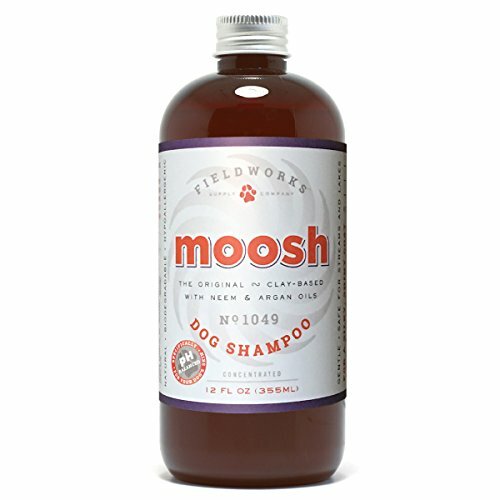 Shampoo for sensitive skin - You should use this kind of shampoo for your Shih Tzu if your dog has skin and coat issues. Dog shampoos that are usually for sensitive skin will not contain any irritating chemicals. This shampoo for Shih Tzu dogs should be able to improve both their health and appearance. Shampoo for allergies - There is also a specialized shampoo for Shih Tzu with allergies. This kind of dog shampoo should be able to clean your coat's fur properly. It can also contain some formulation that will add soothing elements for any itchy skin and healing elements that should be able to restore your dog's skin back to normal. When it comes to the kinds of fur Shih Tzus have, there is actually a vast range of varieties. Shih Tzus have different colors, as well as different fur types. Shih Tzus comes in different colors such as white, black, gold, brown, red or blue. The color of the coat of the dog will depend on the seasons and the current age of the dog. Dogs that are younger and newborn are darker, softer, and silkier compared to those dogs that are more aged and mature. Generally speaking, the fur of a Shih Tzu can get tangled and matted easily. That's why at 10 months old, it's advisable for your dog to have it clipped as early as that age. PET CARE Sciences’ Dog shampoo is made from the highest quality of professionally graded dog formula and could leave your dog smelling fresh and great in just one wash! 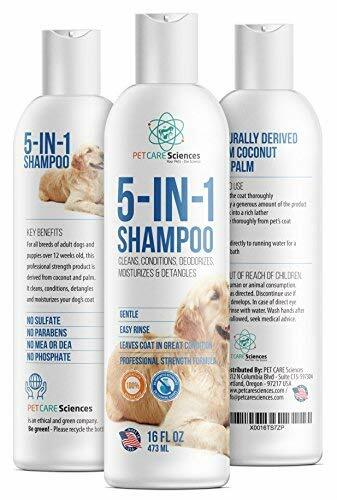 The formulation of this dog shampoo is made from the most natural formula which is coconut oil and palm, and these ingredients promise your dogs to have their coat to be in a wonderful condition in no time. The ingredients of this dog shampoo do not contain any harmful chemicals such as sulfate, paraben, phosphate, MEA, or DEA. It only contains water and plant-based surfactants that is made up of coconut, palm, oatmeal, aloe extract, fragrance additives, and some preservatives. Nevertheless, it’s a perfectly normal dog shampoo to use for your dog. It’s also very easy to use too! All you have to do is just to wet your dog’s coat, apply the product, and work into it in a rich lather then finally rinse it off. Easy to lather and rinse! 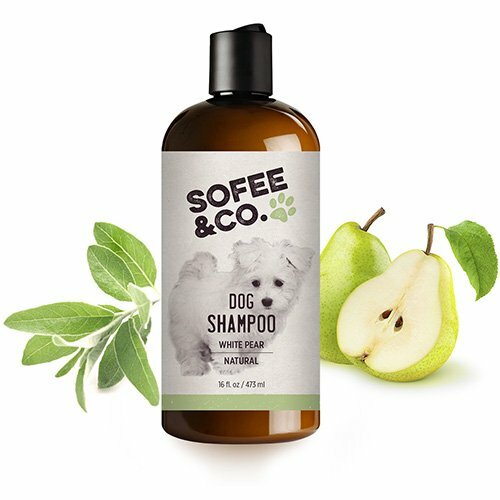 The Sofee & Co. natural dog shampoo is basically made from a white pear. It’s made from the most natural and mild ingredients that clean, deodorizes, and freshens your dog’s coat. Thanks to this dog shampoo’s gentle and mild formula, it’s perfectly safe to use for dogs that have dry and sensitive skin. You may also use this if you have a dog that has itchy and flaky skin and it’s extremely hypo-allergenic. It’s signature natural light pear scent will keep your dog smelling fresh for days. Also, this dog shampoo is cruelty-free and non-toxic. It doesn’t contain any parabens, sulfates, mineral oils, phthalates or any artificial dyes. All of the ingredients used in this dog shampoo are naturally derived and safe to use on your dog! It’s advisable, however, to avoid your dogs’ eyes and ears. The Earthbath All-Natural Pet Shampoo is recommended if you want a have 100%-all-natural pet care. This pet shampoo does not contain any soap so it won’t be hard for you to rinse it off from your dog without having to worry about any falling hair. It’s also heavenly-scented and can last up to days! It’s also safe, gentle and effective for Shih Tzu dogs out there. It is specially formulated as an oatmeal and aloe itch relief shampoo that’s perfect for dogs that have dry, itchy and sensitive skin. 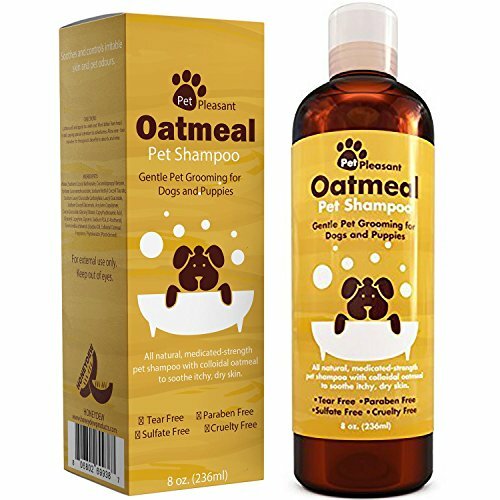 The natural components of this dog shampoo, which are 3% oatmeal and organic aloe vera fights the skin irritation and could even promote healing and can moisturize your dog’s dry and sensitive skin. This dog shampoo has an overall luxurious feel to it since its pH levels are balanced and are perfect for your dog. The Honeydew Oatmeal Pet Shampoo is made from all-natural oatmeal shampoo that can be used even for the most sensitive Shih Tzu. What makes this product a standout too is that it’s the only medicated strength shampoo which is made from 100% pure and natural ingredients! It can surely provide instant and full relief for your dog’s itchy and irritated skin but it won’t compromise the smell of your dog. The colloidal meal formulation is added into it for extra strength benefits and for more effective soothing of dry and flaky dog skin. This dog shampoo also contains a shampoo and conditioner base that’s free from any harsh surfactants. Its natural ingredients, which are Jojoba and Provitamin B5, are used to fight against skin irritation and allergies and is used at the same time to promote detangling of the fur that will leave the coat soft and smooth. Fieldworks Supply Company Dog shampoo is formulated to be specially balanced for a dog’s skin. This would mean that the pH balance of this dog shampoo is ranging from about pH 6.0 to 7.0 which is perfectly standard for a dog’s coat. The ingredients included in this dog shampoo are safe for dogs because it doesn’t contain any harmful chemicals. This is the only dog shampoo that has a bentonite clay. The clay is known for its healing abilities and it naturally binds with the bacteria, fungus, toxins, and heavy metals that might be present in your dog’s skin. Aside from that, it can be used against skin allergies or dermatitis due to its neem and argan oil components. Both ingredients are naturally antiseptic, anti-bacterial, and anti-fungal. This dog shampoo can instantly moisturize your dog’s skin and can reduce dandruff and flaking. 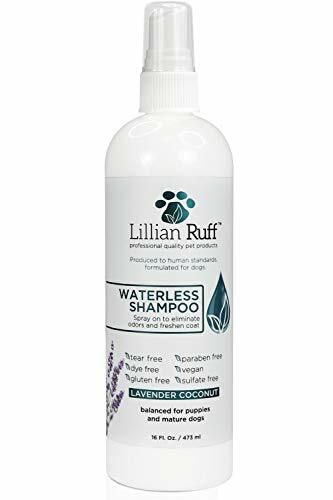 The Lillian Ruff Waterless Dog shampoo is marketed as a convenience in a bottle. This is because of its unique type of shampoo that will not require any water to rinse it off after you lather the shampoo on to your dog’s fur. It’s a fast and easy way to keep your dog from smelling good and the scent can even last for days! There’s no need to wipe it off from your pet’s coat, too. You just have to spray it on your dog’s fur and comb it with your hand. It’s really that easy. It’s also good for those dogs who are just so afraid of the water but they would need an intense and deep cleaning. It’s the most gentle and effective shampoo you could get for your dog because it’s made of lavender and coconut oils which is a natural repellent for fleas and ticks. It’s safe to use on dogs with dry and itchy skin and could leave your pet smelling fresh for days. The John Paul Pet Oatmeal Shampoo is considered to be a luxurious botanical shampoo. Why? Because it’s specially formulated to cleanse your dog gently, as well as moisturize and soothe your pet’s fur even if he has a dry, flaky, and sensitive skin. This dog shampoo can surely relieve any dryness and itchiness on your dog’s skin. It’s made from the finest and most pure oatmeal, aloe, and chamomile ingredients that are not irritating the skin of your dog. It also leaves a sweet, almond oil fragrance that you would love to smell and pet your dog with. The pH of this dog shampoo is formulated specifically for dogs, so it has a neutral to alkaline pH level. You will also just need a pea-sized amount of this product because a little goes a long way! Can leave your dog smelling great for weeks! This is the shampoo you should buy and use if you’re having problems with your dog’s coat that keeps on shedding. We know how awful it is to deal with these kinds of issues, and that’s why the Furminator deShedding Ultra-Premium dog shampoo is an excellent shampoo for you to use. Its primary work mechanism is that it aims to reduce shedding on your dog’s coat and even to promote the healthy skin and coat of your dog. It also has added vitamins and nutrients to it as it is enriched with Omega 3, fatty acids, calendula extract, and papaya leaf extract. You can use this every once a month for maximum results. The Bissell Clean and Fresh dog shampoo is an excellent product to be partnered with the Bissel Bark Bath Portable dog bath system. It works in a no-rinse fashion which uses technology that has been proven and going around for years on pets and humans that doesn’t need any rinsing. It will leave your dog’s coat feeling smooth and conditioned after just a few washed. Overall, it’s pH balanced and contains no alcohol. To top all of that, it includes a light Mulberry scent which leaves a trailing fragrance that could last for days. The Isle of Dogs Everyday Shampoo is genuinely moisturizing and refreshing for dogs. It is a gentle product that will deliver a soft and silky feel to your dog’s coat. It doesn’t contain any harmful or toxic chemicals that your dog may react to, that’s why it’s ideal for dry or damaged coats. Dogs with either long and short coats can be bathed in this as it can soften, detangle, and cleanse it thoroughly with this dog shampoo’s signature warm floral jasmine and vanilla fragrance. The pH level of this dog shampoo is also perfectly balanced and will help to get your dog’s coat shiny inside and out in no time! It is recommended to bathe your Shih Tzu dog every 3 weeks on the average. However, if your dog is more of on the adventurous side and gets dirty easily compared to other dogs, then you may want to do it every other week or at least twice a month. Nevertheless, the frequency of bathing shall depend on how your active your dog can get. Shih Tzus can actually keep themselves clean on their own, but even if that's the case, owners should still bathe their dogs on a regular basis. Here's a quick bathing guide on how you should bathe your Shih Tzu properly. Purchase only high-quality and pet-safe shampoos that are intended for your dog. We have listed ten of the best dog shampoos you can give to your dog. It's crucial that you give special attention to what they're using as it could affect their health. Buy any other additional bathing supplies. Other supplies you can use to purchase for your dog are canine bath brushes, pin brushes, cotton balls, dog towels, washcloths, blow dryer, and nail clippers. These tools shall make it easy for you to bathe your dog. Prepare your dog for bath time. You can do this by letting him sniff all the bathing materials that you are going to use or even let him stay in the area for quite some time. You can also prepare your dog by making him hear the sound of running water or blow dryer. Bathe your puppy. You should only be able to use warm water when bathing your dog. Gently wet your dog and lather him with dog shampoo all over. Afterward, rinse out the water and make sure that you get all the shampoo and conditioner out of your dog’s coat. Dry off your dog. You can now use some of the towels and washcloth to path your dog to dry. Use a gentle rubbing motion when doing this. Have your dog be half-dry before you blow dry his hair. During the process of blow drying, use only low heat setting to prevent thermal damage to your dog's skin and, as much as possible, keep the blow dryer's nozzle at least a few inches away from your dog’s coat. Comb your dog's skin. After he's thoroughly dry, you can now untangle your dog's hair using a specialized dog comb. To make your dog’s fur more shiny and healthier, you can apply a leave-on conditioner after drying him out. The most important thing that you can do for your dog when you're bathing him is to be able to provide him with quality grade bathing accessories and materials, especially dog shampoo! Since it’s going to have to come in close contact with your dog’s skin, you have to make sure that it’s perfectly safe for them and it’s easy on their skin. Puppy Cut –This is also called the summer cut since it's usually done in the summer to keep your pup from getting hot during the season. It's one of the most popular Shih Tzu cuts. Your dog's hair is going to be trimmed for about 1 to 2 inches all over. This cut is as versatile as you want it to be because you can play with the length of the ear and chest coat. It's also the lowest maintenance of all the cuts for Shih Tzu. Teddy Bear Cut – This, by far, is probably the cutest cut your dog can get. This cut would mean that your dog will have a fluffy and rounded face shape. It can also be paired with a puppy cut for its body. You can choose to have this kind of haircut for your dog if you want the length to be just right – not too long and not too short. It doesn't require much maintenance and won't be a hassle to brush now and then! Practical Top Knot – This is one of the most recognizable Shih Tzu haircuts. If you want to tie your dog's hair up, then you can very much do so with this haircut. The hair that's tied will be the only ones that are going to cascade down from the clip while the rest of the body hair can be cut neatly. You just have to make sure that your dog's hair will stay on its sides so it won't be able to cover your dog’s eyes and face. Top Knot Show Cut – This cut is very much the same with the practical top not only that this is a high maintenance cut and are usually done for show dogs. The dog's hair is left long and flowing. The hair should also be brushed several times a day to keep it from dangling. It’s not advisable to get this hair cut for your dog especially if he’s just usually lounging around your place. It can get very uncomfortable when the summer season kicks in and can even cause overheating to your dog.